At the risk of stating the obvious, all farmers want their farms to be economically viable. Yet recent developments have thrown many formerly proven agricultural business models into question. CSAs, medium-scale labor-intensive premium vegetable operations and small-scale dairies are among the once-reliable models that are faltering in the face of increased competition, challenging labor dynamics and rock-bottom commodity pricing. The failure of small-sized family farms is more than a personal tragedy. Farm loss undercuts rural economies and rural identity. As small family farms across the country continue to struggle, many are searching for alternatives to the grow-or-fail dynamic currently prevailing in U.S. agriculture. For farmers, farm support organizations and the public sector, it’s a time of experimentation and renewed focus on business fundamentals. What does “viability” really mean? In an effort to better understand and improve farm viability, some organizations have formulated specific definitions built on financial metrics. Teagasc, the Irish Agriculture and Food Development Authority, defines a farm business as being economically viable if it generates enough income to pay family labor at the minimum agricultural wage (€19,167, or approximately $21,800, per unit) and generates a 5 percent return on capital invested in nonland assets like machinery and livestock. A farm is “economically sustainable” if it’s not viable but is supported by an off-farm income; it’s “vulnerable” if it is not viable and has no source of off-farm income. Under this metric, only about 36 percent of Irish farms are viable, while nearly the same number — 35 percent — are vulnerable. The U.S. doesn’t have a formal definition for farm viability, but policymakers, advocates and farmers alike seem to agree viability includes not only financial fundamentals but also more intangible qualities. Definitions aside, the situation in the U.S. is similar to Ireland’s. Since 2013, net farm income in the U.S has fallen by 46 percent, according to USDA statistics released in December 2018. Debt-to-income ratios are the highest they’ve been in three decades, solvency ratios have weakened, the average age of farmers continues to climb and real estate values represent larger and larger shares of farm assets, creating a ticking time bomb for areas concerned about farmland preservation and the long-term health of the agricultural economy. Labor consistently emerges as one of the most pressing threats farmers identify to their business’s viability. A tight job market and stricter immigration policies have made finding labor more difficult. Increases in the minimum wage in states across the country have also brought challenges. 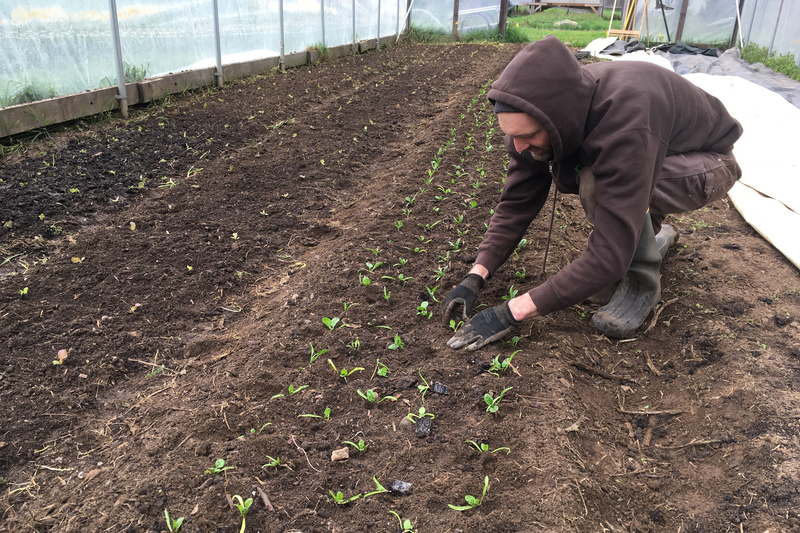 “Organic farming in particular needs more labor than conventional farming,” said Jeff Falen, who co-owns Persephone Farm in Lebanon, Oregon, with his partner Elanor O’Brien. “And I think it’s not very sustainable because of that.” Not only does more labor mean more expense, but in a tight labor market, it’s difficult to find local workers who want the jobs. Many farmers support the idea of increased minimum wages from a philosophical perspective, but blanch when they see its impact on their bottom line. Tom Willey, a retired farmer and former co-owner of T&D Willey Farm in Madera, California, said about 70 percent of his costs at the farm before he retired in 2016 was labor. “We really lavished hand labor on our product,” he said. 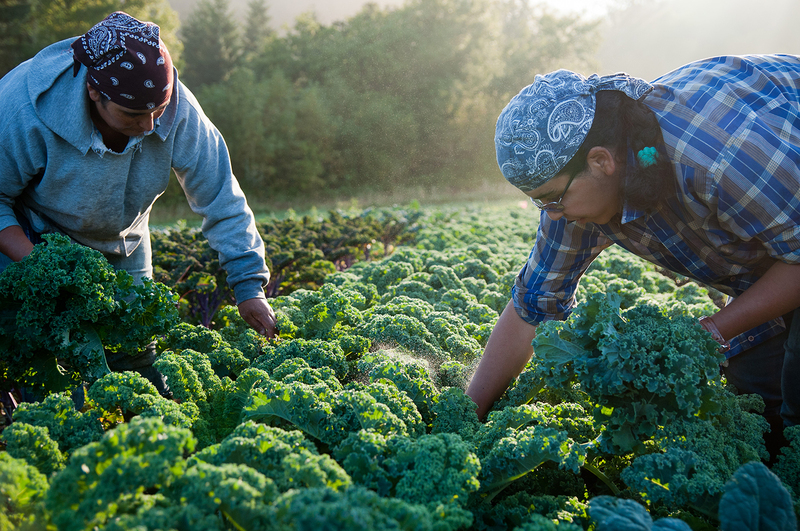 But as the minimum wage in California climbed from $8 an hour to $15, that model began to feel untenable — especially since competitors running organic farms in Mexico could pay laborers $12 a day. 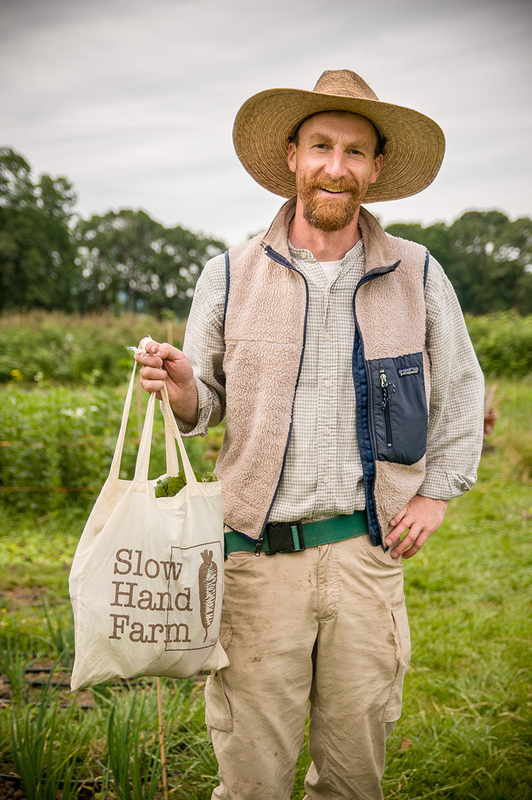 In response to these challenges, many new farmers are thinking small — very small. Falen and Willey said they’ve seen a trend towards younger farmers choosing to keep their scale under five acres to avoid hiring much, if any, labor, and focus on creating deep connections with the surrounding community to bypass the wholesale grocery market. Yet there are concerns about the viability of staying small. What happens when a founder gets injured, or takes time off to have a child? But his feelings have shifted, fueled in part by the increasing scale and monoculturalization of the organic vegetable industry in California. In response to the same labor issues plaguing West Coast vegetable farmers, Gleason said she’s seen some New England dairy farms turn to technology for answers. “We’ve certainly seen more and more interest in robotics in organic and conventional farms, even some pretty small farms,” she said. In addition to robotic milking parlors, individual cow monitoring systems have also become more prominent — Gleason likens them to a “cow Fitbit” that collects data on each cow to catch problems before they grow. The success of automation initiatives like these varies, said Gleason, and depends largely on the individual financial situation of the farm. Technology is expensive, and the lending atmosphere in Vermont is restrictive. If farmers have the cash flow to cover the up-front costs, technology can play an important role in increasing viability. If the financial reach is too much of a stretch, however, over-spending can be the final straw. “If you’re able to weather those costs, it can really reduce your labor, and catch cows that might be getting sick much earlier,” said Gleason. 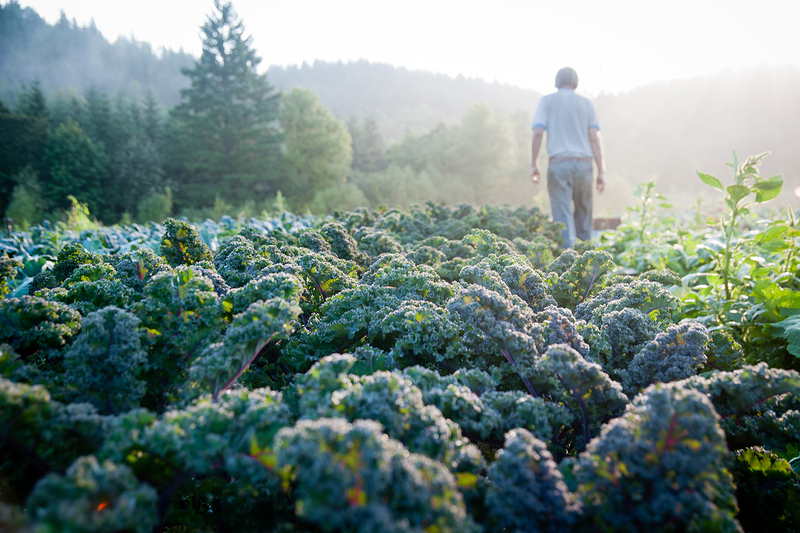 Business planning services offered through the Viability Program and other organizations, like Oregon Tilth and the USDA, can help growers decide whether those infrastructure investments make sense for them. Willey mentions another intriguing — albeit largely theoretical for now — model: the pricing of ecosystem services like carbon sequestration. “If farms can demonstrate they are playing their part mitigating the climate problem in a positive way and communicate that well, we may have the opportunity to create a whole new market demand for an agriculture that would support the inherent diversity of this kind of organic farming,” he said. Potential models that have been raised for this kind of strategy include the sale of carbon offset credits in a cap-and-trade scheme, reclamation and/or sale of methane biogas, and enhanced communication to consumers about the carbon benefits of their purchases. Financial profitability, while clearly a prerequisite for most farms’ viability, isn’t the only important factor. A holistic understanding of farm viability requires a complex calculus among the financial needs of the farm, the personal values of its owners and workers, the lifestyles it can support for the people who run it and the greater social and community context of the farm. That leads some farmers to make decisions that put intangible outcomes above economic ones. 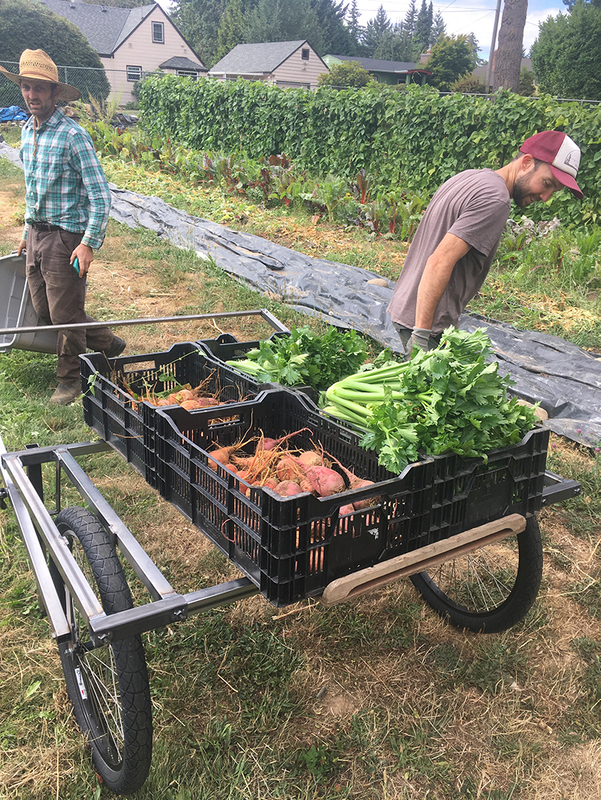 For example, while running Slow Hand Farm in Portland, Oregon, farmer and author Josh Volk made the decision to make deliveries by cargo bike rather than car. “I ran the financial analysis on that, and it did not make sense,” said Volk. Factoring in the extra time delivery by bicycle would require, it ended up costing approximately $100 more per month. At Persephone, Falen and O’Brien made a similar decision when they opted to eschew the use of plastic mulch entirely. “We wanted to be sustainable, and we didn’t want to create a bunch of trash,” Falen said. The decision means Persephone gives up the opportunity for season extension, with warm-weather crops like tomatoes and peppers coming to market much later. “We’ve definitely paid for that in the long run,” he added. Willey wishes he and his wife and farm partner, Denesse Willey, had found a way to work less during their careers. As farmers search for new models, perhaps the only one-size-fits-all strategy for viability is an adaptive mindset. Margarett Waterbury is the managing editor of Edible Portland and regularly writes about food and agriculture for regional and national publications.